It’s not every day that I get to launch a shiny news feed, so you can imagine how excited I am to launch a shiny news feed with HUGE book news. 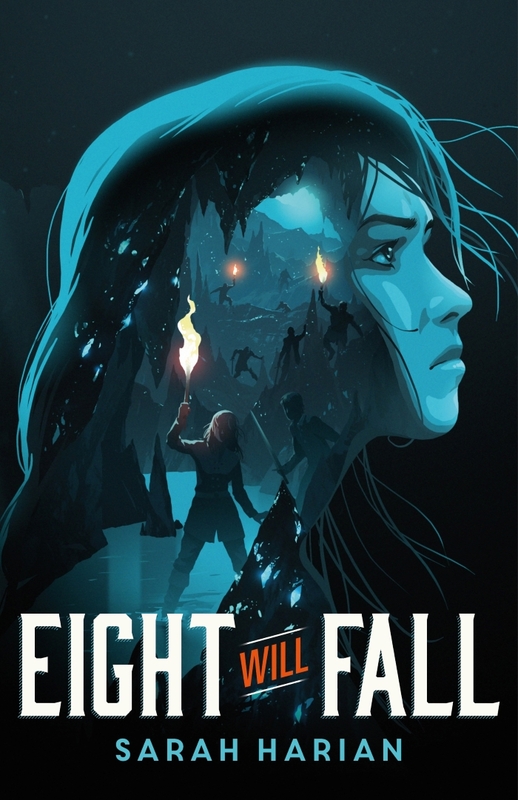 EIGHT WILL FALL has a cover! And not just any cover. It is a stunning cover that captures the essence of EIGHT WILL FALL perfectly, created by artist Levente Szabo (book designed by Katie Klim). In a world where magic is illegal, eight criminals led by rebellious Larkin are sent on a mission to rid their realm of an ancient evil lurking beneath the surface. Descending into a cavern full of unspeakable horrors, Larkin and her crew must use their forbidden magic to survive. As they fight in the shadows, Larkin finds a light in Amias, a fellow outlaw with a notorious past. Soon, Larkin and Amias realize that their destinies are intertwined. The eight of them were chosen for a reason. But as the beasts grow in number and her band is picked off one by one, Larkin is forced to confront a terrible truth: They were never meant to return. Lovers of dark, high-octane adventure will be enthralled by this genre-bending YA fantasy standalone, perfect for fans of Kendare Blake and Leigh Bardugo. Add EIGHT WILL FALL on Goodreads. Read my intimate “review” of the book. Find EIGHT WILL FALL on IndieBound, and either bookmark or pre-order through your local vendor. Pre-order from Amazon and Kobo (more vendors to come as they add the book). Follow me on Instagram and Twitter for updates.